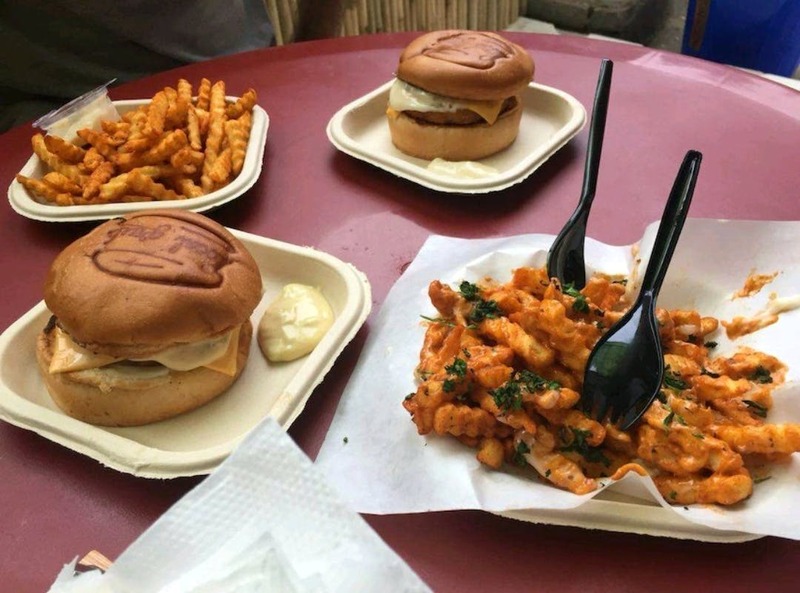 Local Grub, a newly opened cafe in Pitampura, has a great selection of burgers, fries, and shakes. The menu even though very limited, offers a good variety for both vegetarians and non-vegetarians. In fact, there's more on offer for the vegetarians. The top picks here would be the Herb Garden burger, the Wicked Chicken burger, peri peri fries, and chicken nuggets. What I found interesting about the burgers was that the burger buns were custom branded with a Local Grub logo stamp which is not seen much in Delhi. The Herb Garden burger had a crispily fried herb patty, some in-house mayo and cheese, gherkins, and added veggies. This easily qualifies as a vegetarian delight. The Wicked Chicken burger had a grilled chicken patty topped with caramelised onions and Chef's wicked sauce. You simply can't get enough of this one. These burgers paired well with the peri peri fries and chicken nuggets. If you're looking for good burgers, then this is the place for you. PS - They do home delivery too. If you are in or around Pitampura you can order this at your home or get a takeaway. Packaging could be improved.